Step 1: Respect this feeling for what it is. Everyone has something that grinds their gears. Maybe it’s how nobody in your whole city can drive. Or your boss never gives you the credit you’re due. Or maybe you’ve just been seething lately, for no reason you can particularly identify, but always ready to strike at a moment’s notice. Everybody gets angry sometimes. It’s a normal human emotion. But when we start lashing out, slamming doors, or using impulsivity to drive it away, it can do more harm than good. Here’s how three therapists recommend dealing with anger in a healthy way. 1. Notice that you’re angry. “Our anger cycle starts long before we act out,” she adds. 2. Check your physical cues. A little mindfulness can also reveal signs of anger. “Pay attention to your body,” Celeste Viciere, LMHC, author and host of Celeste the Therapistpodcast says. Your heart starts to beat fast, you start sweating, your breathing gets shallow and irregular. Learning how to notice these signs is key in preventing an outburst or regrettable behavior. “If you’re not in tune with your body and your thoughts, it’s going to be really hard for you to be in tune with that emotion,” she explains. 3. Pause what you’re doing. Whether you’re mid-conversation or out on your own, pause what you’re doing. Take a deep breath. “People that find themselves angry and emotionally responding, they feel a sense of no control,” Viciere says. Excusing yourself allows you to regain your equilibrium and figure out what you really want before moving forward, rather than just reacting. 4. Use a ‘stop’ cue. Language — like, “Stop [your own name]” aloud in a firm voice — helps to redirect both your body and brain, Balestrieri says. This is a thought-stopping technique that can help end the negative thought cycle that’s fueling the anger. Then take a few short breaths and give yourself a positive affirmation, like “I can handle this calmly,” to give yourself a clear intention. 5. Talk to an objective friend. If you’re angry about something and don’t have to respond quickly, getting a different perspective through a trustworthy, rational friend is useful. “A balanced friend can help us get back to baseline,” Viciere says. But make sure you’re not leaning on a friend who tends to rile you up even more, which can be counterproductive. 6. Use cold to bring down the heat — literally. If you’re already raging, “a physiological change is required,” Balestrieri says. One trick that really seems to work: hold ice cubes in your hands or put ice or cold water on your face. This small change can activate the parasympathetic nervous system and can help us calm down, she says. 7. Physically do the opposite of what anger would do. 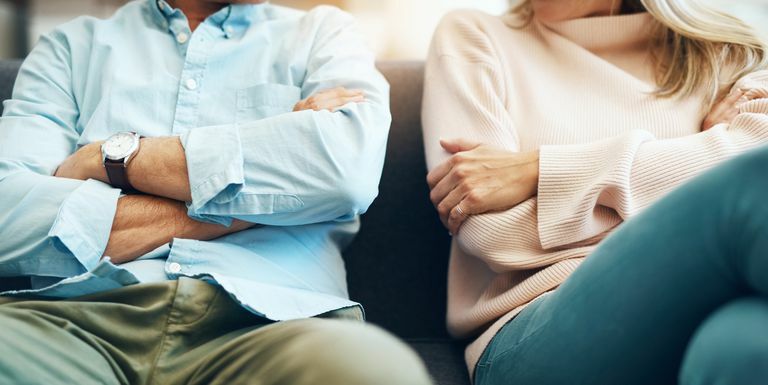 Clenched fist, tight jaws, constricted breathing — these are hallmark physical reactions to anger, says Lisa Bahar, a licensed marriage and family therapist in Newport Beach, California. Try to actively do the opposite. Loosen your jaw, open up your palms, and put your body in the most serene state you can manage. Breathing techniques, like ‘square’ breathing (four breaths in, pause for four, fourth breaths out, pause for four), can then help calm your mind. 8. Practice consistency, not just damage control. While these practices can be helpful at the moment, they’re even better if you’re practicing them on an ongoing basis. Think of it like a cup — if your anger is threatening to spill over, these practices can help in the short term. But if you practice them regularly, even when you’re not about to explode or make a choice you’ll regret, then the level of your cup will go down. “The intensity of what you’re feeling won’t always be that way,” Viciere says. 9. Be solution-oriented if you screw up. It’s important to identify what went awry in your own thinking and behavior, Viciere says. If it impacted another person — say, you blew up at a friend or family member — apologize and take responsibility. Then, when you’re not feeling so riled up, figure out what you want the relationship to look like in the future. Are there boundaries you need to set? Can you communicate earlier on when you need to take a step back? Because ultimately, “anger is necessary,” Balestrieri says. “It teaches us when we’re being disrespected and galvanizes us into action.” The goal isn’t to get rid of anger, but to find a way to express it appropriately.